To generate leads and / or sales on your website using a highly targeted Facebook campaign. To increase brand awareness, reach and social followers. Analyze your target audience to discover the niche demographic to target effectively. Research competitors and find weak points to utilize in our campaigns. Discuss different marketing ideas, contests, techniques, marketing methodology and overall marketing goals. Write your daily social media posts and submit to you for approval. Set up the use of promoted posts, setup frequency, content, reach and target audience. Discuss the use of contests, their frequency, content, reach and target audience. 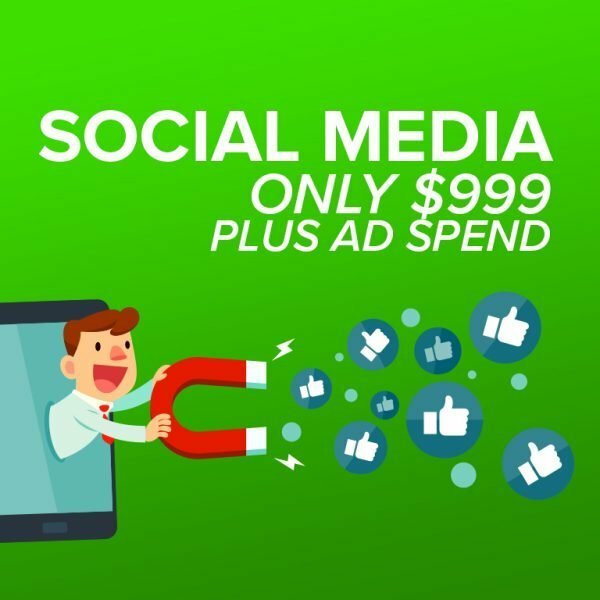 Setup and manage paid Facebook / Instagram ads, target audience, design of ads and marketing method. Monthly we will create daily content for your Facebook, Google+, LinkedIn and Twitter and networks and send them over for review, creating posts on a schedule will engage your customers and encourage sharing and branding. Weekly we will reach out to fans to boost followers on Facebook increasing overall exposure and followers. We work hard to add more than 50+ new followers monthly to your Facebook account this is not guaranteed, but likely. We will need a promoted posts budget to ensure this goal. Write copy for ads, headlines, email follow up. Design ads, form, email follow up. We will setup the flow to track your leads. We will setup ads to generate quality leads based off specific demographics. We will develop and structure a sales funnel that includes an auto responder and funnels your leads to the correct departments. Daily we will monitor your comments to ensure that they are appropriate, follow branding standards and keep in line with the discussion. Monitor notifications, improve content and graphics as needed. Daily we will monitor your ad campaign to make sure it’s performing the best it can. We will create a custom audience and expand that audience with affinity audiences so that we can target more possible leads. We will create new ads to try to improve our overall strategy. We will create a/b testing of copy, audiences, ads, delivery methods to improve your overall campaign.